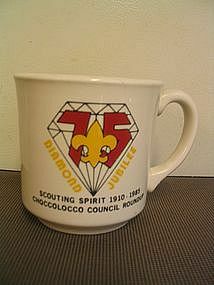 Vintage mug with no damage. Additional photos or info by email. I need your zip code to calculate the postage. 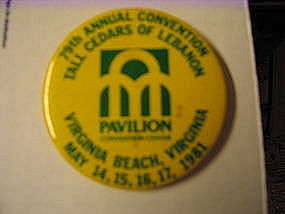 Annual convention pins. Available as follows: 1. 1980 2. 1981 3. 1983 4. 1987. I also have available a "Progress for Change" and an "I Am a Tall Cedar's Lady." Photos upon request. These pins are sold @ $10.00 per item. I need your zip code to calculate the postage. 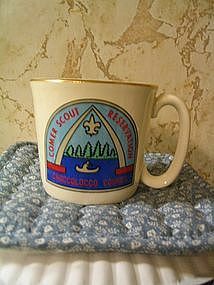 Boy Scouts Mug - Choccolocco Council Comer Reserv. There appears to manufacturing info. on the bottom, but it is so shallow as to not be readable. Gold trim has minor wear and a manufacturing flaw. I need your zip code to calculate the postage. 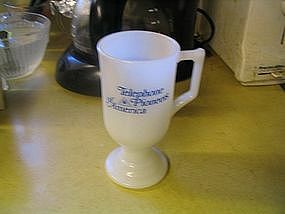 Cup from the 59th Assembly, Louisiana Chapter 24 Lake Charles, Louisiana, May 20-22, 1982 Life Member Breakfast. 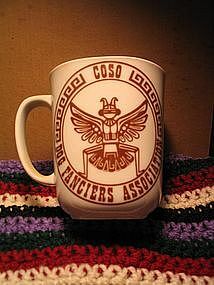 There are no chips, cracks, breaks or damage to the lettering. If you have any questions regarding this item, please email. I need your zip code to calculate the postage.